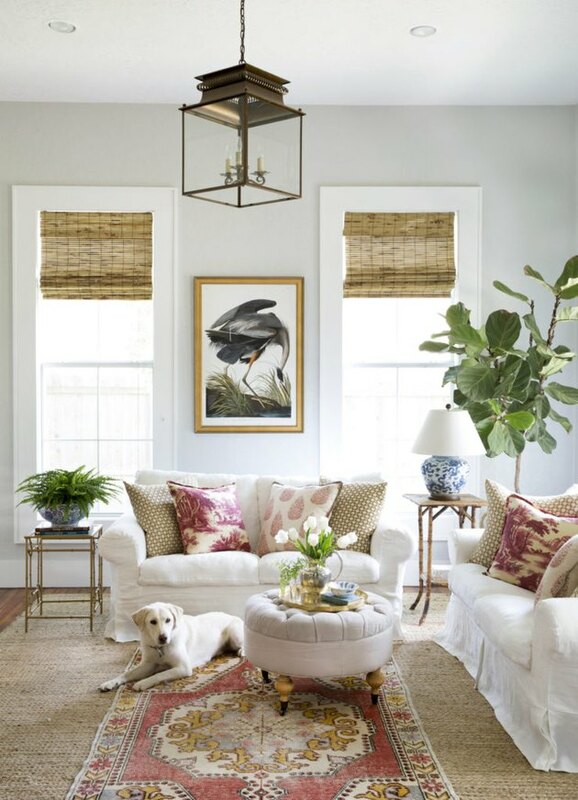 A simple ceiling fan may come to mind when you think of living room lighting. But in reality, there are so many other fun options for illuminating your space. 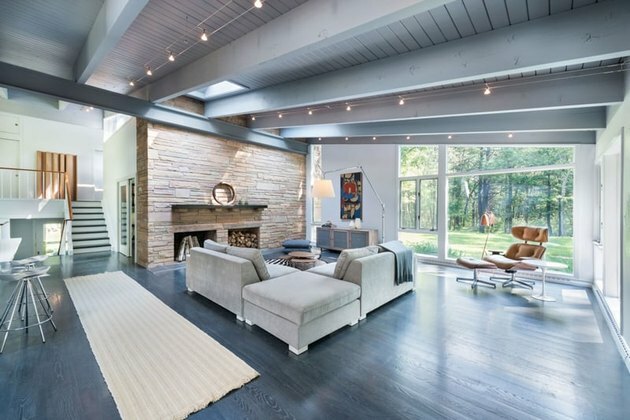 Allow us to spark your creativity with 11 ceiling light ideas that are perfect for your living room below. Lighting doesn't have to be all practical. Impactful pieces such as this pendant with a stylish paper shade add to the mood of your space while also providing a bit of light. 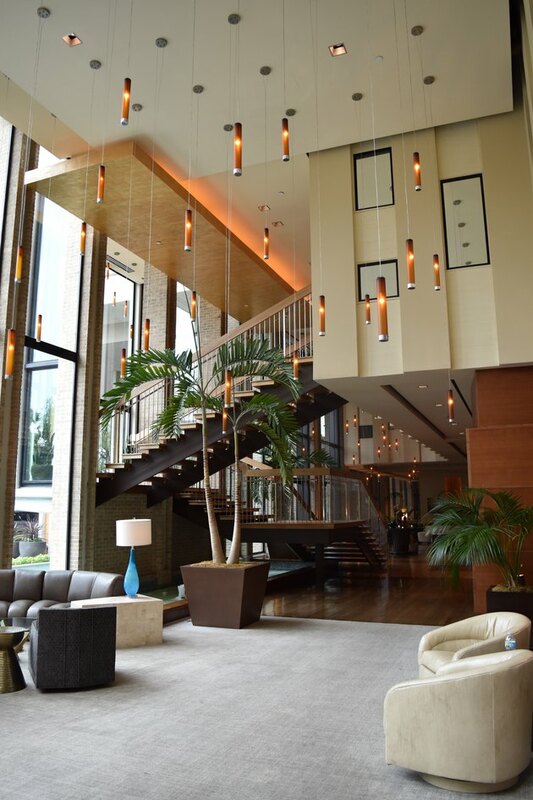 Learn more about how you can incorporate decorative lighting here. While it's not something you see every day, cove lighting, or lighting that goes around the perimeter of your tray or vaulted ceiling, can really add something special to your space. Ceiling fans don't have to be ugly. 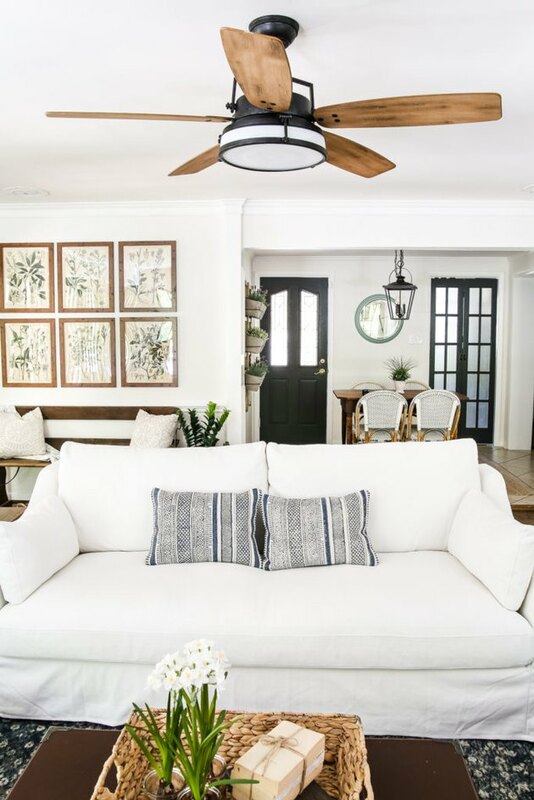 Farmhouse ceiling fans are on-trend, for example, yet remain practical. They feature rustic wood and clean, traditional lines, rather than old-fashioned white plastic. 4. Enjoy the convenience of can lights with a dimmer. Dimmers set the mood you want for your space, and shouldn't be overlooked. Curious if a dimmer can be added to your light fixture? Find out here. Who said chandeliers are only reserved for the dining room? 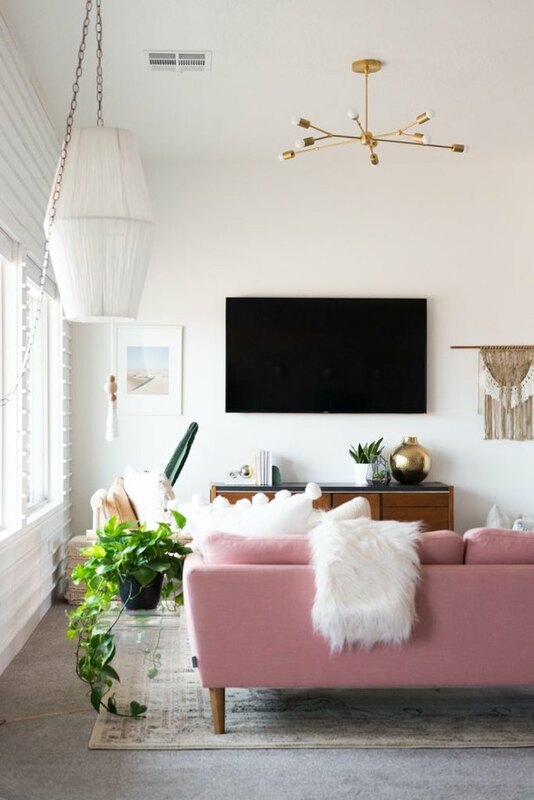 They can add some glam to just about any space, including your living room. Learn how to shorten the chain of a chandelier here. 6. Get creative with elegant drop-down lighting. How grand is this look? 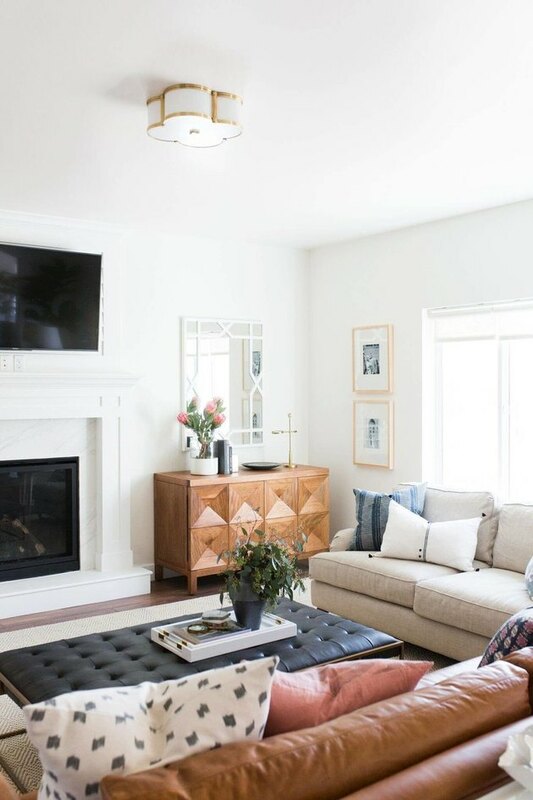 Don't be afraid to venture out of the box when it comes to lighting your living room. 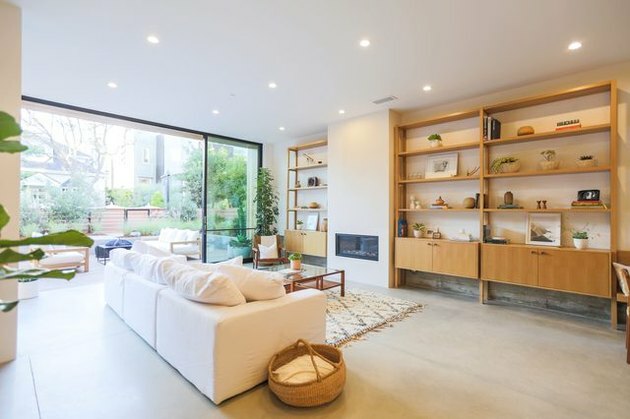 Yes, this one is a bit more of a commitment, but if natural light is what you're lacking, there's nothing better than a skylight. 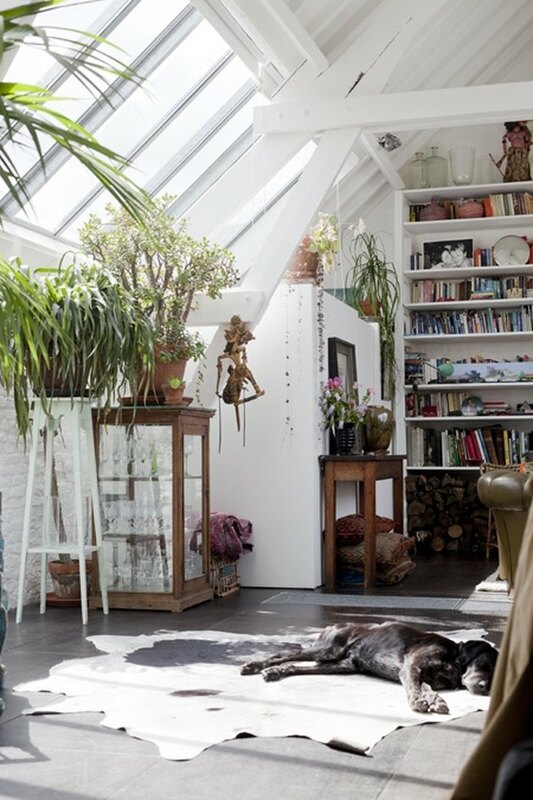 Here's how to make a DIY shade for your skylight, once it's been installed. 8. Pick a flush mount ceiling light. Elegant and simple, don't overlook flush mount ceiling lights. Learn how to change the lightbulb of a flush mount ceiling light yourself here. 9. Install a central pendant light. Pendant lights aren't only meant for the kitchen. Here's how to shorten the cord on a pendant light so no one knocks their head! 10. Try out a semi-flush mount light. Semi-flush mount lights hang down just a bit lower than flush mounts, but are just as simple and elegant. Track lighting does not have to be cold and clinical. It fits so nicely between the ceiling beams above, for example. Learn how to replace track lighting bulbs yourself here.